Dear, Can you hug it? Love the last one and so profound too!! Speaks volumes on social changes!! Heights can certainly be attained with aspiring minds and hearts! Interesting set of haiku! 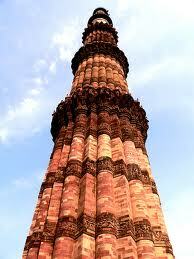 You depicted the story quite well ... that iron pillar does stand strong even today besides the Minar !! !